Thanks to advances in optical technology, almost everyone can wear contact lenses, regardless of the type or extent of their vision problems. This includes patients with astigmatism, high powers, eye diseases like keratoconus, or those who need bifocal or multifocal lenses. 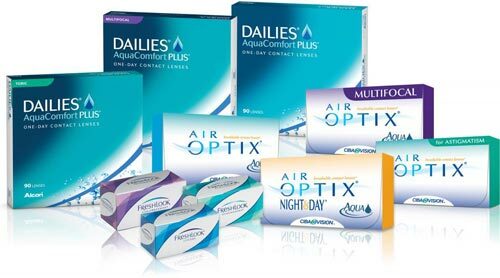 We offer the best in contact lens technology to provide you with optimal vision, comfort, and health. 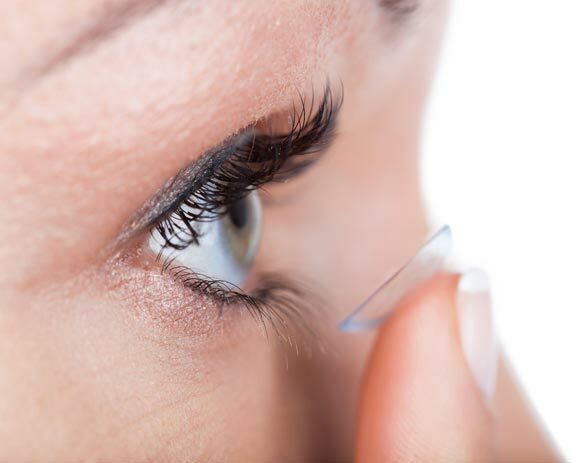 Soft contact lenses are made of soft, flexible plastics that allow oxygen to pass through to the cornea. Newer soft lens materials include silicone-hydrogels to provide more oxygen to your eye while you wear your lenses. Disposable soft lenses are intended to be thrown out and replaced after you have worn them for a certain length of time. 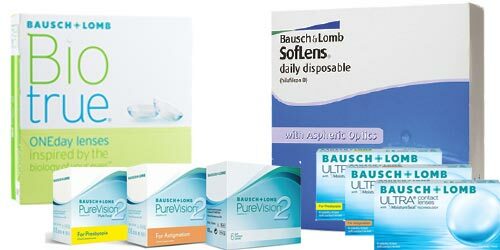 Many disposable lenses are designed for replacement every day, every week, every 2 weeks, or monthly. Daily wear disposables are worn during waking hours only, while extended wear disposables can be worn for longer periods. 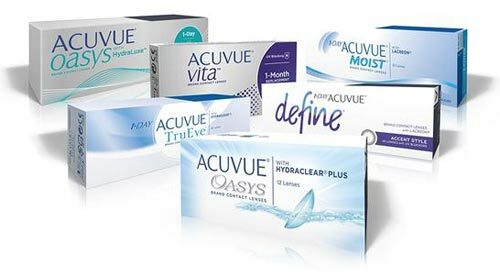 Extended wear contact lenses are available for overnight or continuous wear ranging from one to six nights or up to 30 days. Extended wear contact lenses are usually soft contact lenses. They are made of special plastics that allow extra oxygen to pass through to the cornea. There are few rigid gas permeable lenses that are designed and approved for overnight wear. Length of continuous wear depends on lens type and your doctor's evaluation of your tolerance for overnight wear. It is important for your eyes to have a rest without lenses for at least one night following each scheduled removal. Advances in contact lens technology have led to soft lenses being the premier choice of contacts, however RGP lenses still offer several benefits and may be a better fit for some patients. Although RGP's are not as comfortable to wear as soft lenses and may take longer to adjust to, they are more durable and resistant to deposit build up. They last longer than soft contact lenses and are less likely to tear. Colored contact lenses come in prescription and non-prescription. Some contact lenses do not correct vision and are intended solely to change the appearance of the eye. For example, they can temporarily change a brown-eyed person's eye color to blue. Scleral lenses are larger lenses made of gas permeable material. They are used to correct vision in a number of conditions such as keratoconus, post-refractive surgery corneal issues, ocular surface disease, dry eye, and even normal refractive errors.